Duplex is a leading industry expert in the supply of commercial high-performance cleaning machines, recognised and trusted throughout the UK and globally and dedicated to ensuring that our machines provide advanced cleaning solutions. When you purchase a Duplex machine you can rely on exceptional cleaning power, build quality and ease of use. When it comes to safety flooring, Altro provides high-performing, long lasting solutions where the risk of slips and trips must be minimised. From health and social care, education, food and drink facilities through to transport plus many more. 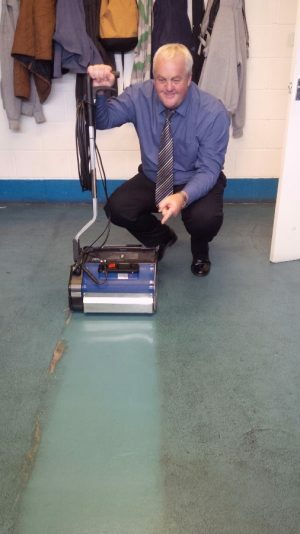 Until recently Altro has not approved any particular machine to clean their specialist flooring. So, after testing the Duplex machine we were very proud when Altro approved it for cleaning and maintaining Altro slip-resistant floor coverings without the need for chemicals. At a recent sales meeting Duplex was introduced to the Altro sales force in a fun and informative manner allowing them to use a Duplex and see for themselves what amazing results can be achieved on Altro flooring.